going through my stash, with purples and pinks abound, didn't help either. 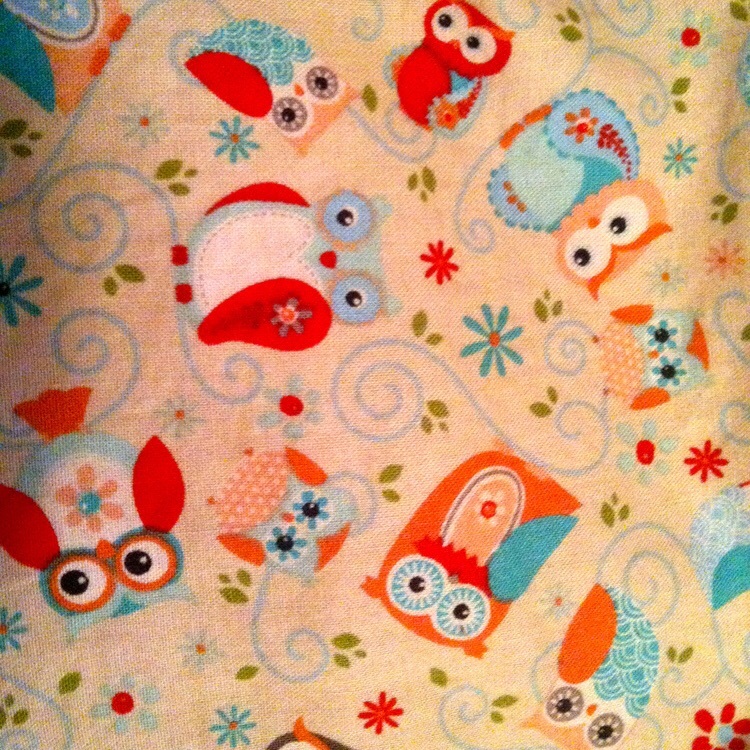 until i came across the fabric i used to line maya and etta's owl backpacks. sure when paired with the coral canvas it was quite feminine, but there was a fair amount of blue in there, and some red and grey. with this swatch in hand i went through my stash again and discovered i had a lot of things that matched it. using the lullaby layette pattern from oliver + s i made the reversible jacket with the owl fabric and a solid red cotton left over from maya's polka dot roller skate dress. for the bias binding i used a soft baby blue chambray-type fabric nora and etta had insisted we get while at bolt a few months earlier. using the red and white polka dot fabric left over from the same dress of maya's i also made a onesie. this was my first time doing a placket and it i was a bit nervous especially given how small baby stuff is. but it turned out splendidly thanks to the o+s instructions. then my cousin had her baby and it was (to no one's surprise) a girl. once again in my feminine comfort zone i made another onesie, but this time i used cherie's method for adding flutter sleeves. all together it made a pretty awesome baby gift! baby a looked just lovely in her new onesie once she grew into it. (i made everything in the 3-6 month size).